You’ve got to envy Paul Penders’ own staff chemist, Yvonne Nobel! She joined a sailing crew for 5 days at the races. If you are shivering away in winter snow or holed up in an air-conditioned office at a computer or just dreaming of a day at the beach, take a ‘mini-vacation’ and enjoy her pictures of sailing on the Andaman Sea at the border between Malaysia and Thailand. Looking out in front of the Paul Penders offices to beautiful Kuah harbor, we could see 40 boats from 12 countries gathered for the annual Royal Langkawi International Regatta. With days with light breezes, gentle waves, and lots of sunshine, Yvonne and others got some great pictures – including several of a near collision with another yacht! I had five wonderful days on the water. The wind was a bit too low for our sailboat. The boat is big so we went slowly and we managed to reach the finish line only 3 times (hahaha). The last day was great because the wind was better and we managed to start with the two other boats in our group. For a while we did great but then the wind went down and we lost speed and arrived again last at the finish. The committee boat had to wait for us every day because everybody was already home and we were still struggling to finish. But the spirit was good on board and we did not give up. I had a great time, learned a lot about sailing, and will join again next year. 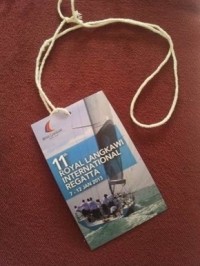 Luring sailors from across Malaysia, Australia, Singapore, Hong Kong, and Thailand, and as far afield as Japan, Great Britain, Germany, Denmark and Norway, this small regatta brings important income to the remote north Malaysian island chain in the Andaman Sea. One of the (many) reasons, Paul Penders chose to base the company and his home on the tropical island of Langkawi in Malaysia is that he loves the sea. A former boat owner himself, he still dreams of sailing the world’s oceans. Too busy with the company to sail much, instead he and his family maintain their interest in the regattas and events that bring people from around the world to Langkawi. As a community-minded company, we see the value of attracting people to the island who will care about its unique qualities and provide new sources of income to its residents. Awarded a UNESCO ‘Geopark’ status, the 99 islands are renowned for their unique geology and tropical flora and fauna. For centuries, sailors have anchored their boats here, sailing in from the famed (and infamous) Malacca Straits. There are even stories of pirates leaving buried treasures in island caves! skipper of the yacht “Fantasia” at the Langkawi Regatta in January. 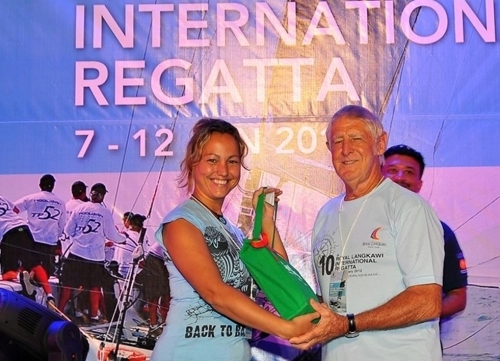 After the first day’s sailing, our own Katja Penders was invited to be a presenter to give prizes to the winning crews. She brought along ‘pamper packs’ of Paul Penders products – and sailors told us they were delighted to have moisturizers, sun protection, shampoo and other products to help combat the effects of sun, wind and salt spray at sea! Take a mini-vacation. Enjoy this video slideshow with scenes from the regatta! When traveling in Europe on my way to Italy, I was determined to visit a real organic olive oil producer – to learn more about how olives are grown and what goes into making the best olive oil – with thoughts in mind of ways to use olive oil in various Paul Penders products. I got to do that… and more than I expected, much more. 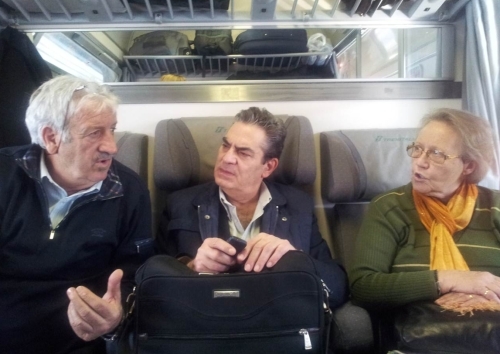 On the train, we encountered Mr. Sawillaci Gaetano, the owner of a small olive oil and wine farm outside the city of Catania on the island of Sicily. We shared our philosophies about life and work – and discovered we had much in common. We became true friends. Very soon a meeting was sealed. We would meet again in Catania in a few days. One of only two metropolitan areas on the island of Sicily, Catania has one of the most dynamic economies in the whole of Southern Italy including a fast-growing tourist industry, with many international visitors coming to visit. The island is filled with history and archaeological sites — people have been living here since as far back as the 8th century B.C. The famous Mt. Etna volcano looms above the city of Catania; the snow-capped mountain is the most prominent landmark of the island of Sicily. At 3,320 m (10,890 ft), it is the tallest active volcano in Europe and one of the most active in the world. Luckily, it has been relatively quiet in recent years and the volcanic ashes have produced a special fertile soil, adapted especially for the growth of grapevines and olive trees. As we drove out of the city to the plantation, I was touched by what I saw — the Sicilian countryside has a serene beauty. The land Mr. Gaetano owns has come down to him through generations of his family. He is in many ways a modern man but continues living by the standards of family traditions. He will never give up the land or his way of life. The plantation is beautiful. Relatively small, it has only 600 olive trees and arcades of dangling grapevines. Besides the olives and grapes, he also showed us his gardens of herbs and organic vegetables: rosemary, fennel, mint. He cares for small orchards of oranges, figs, lemons, prunes, and tangerines. 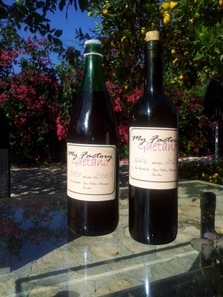 The dry Mediterranean climate also is suitable for cactus and he sliced open a cactus fruit for us to taste. All are grown without the use of pesticides or chemical fertilizers. His olives taste different. He takes the olives from the trees when they are still young. He explained that other growers let the olives grow much longer on the trees so they become big and fat, picking them only when they are ripe and ready to be squeezed. While he says there is nothing wrong with this commercial approach, it is less healthy. His way gives a “pinch-taste” to the olives, demonstrating true quality. Healthy young olives keep all their vitamins inside and these can be extracted to make pure, vitamin-rich olive oil. Mr. Gaetano’s organic wine tastes differently, too. It has a fresh, almost serene taste and a fruity aroma — truly a simple quality wine – and with no pesticides to mar it. We were lucky enough to be gifted with a bottle each of the wine and olive oil to take home. There is so much handwork involved in producing the way he does. It was clear that after paying workers that there is simply no money left for profit. With a production of only few thousand bottles, it was clear that money-making is not the priority but he said several times that he would never give up the farm. 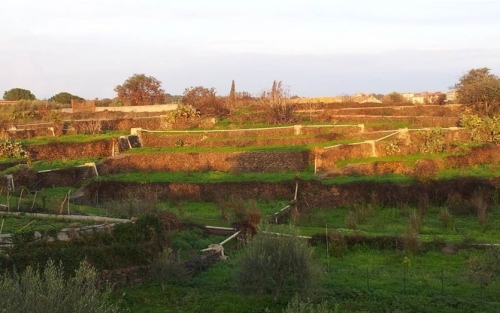 This Sicilian farmer has a good life – simple and rich in pleasures if not money. He enjoys where he lives and what he plants — and his family virtually lives off the fruits of the land. Most of the olive oil and other produce is used by family and friends. They count on what comes from this land. Mr. Gaetano and I shared many interests during our time together. 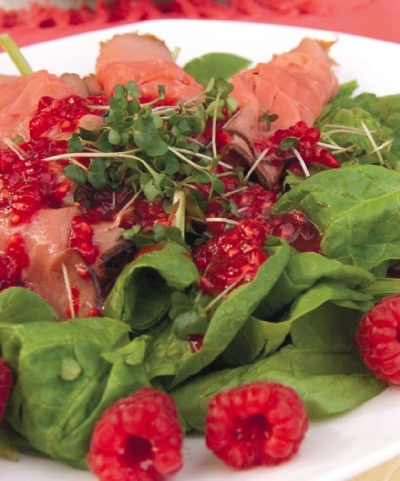 For all Paul Penders products, we do everything we can to ensure our ingredients are pesticide and chemical-free. In today’s world, however, it takes knowledge and courage for a farmer to choose to ‘go organic.’ And it takes courage to choose to stay small and resist the temptation to sell out – something he and I shared as I have felt that pressure many times with our company as well. It is hopeful to me that there continue to be small farmers like Mr. Gaetano who preserves tradition and cares for his heritage, the land, and his family. As it turns out, his production is too small to be used for our cosmetics. Legal restrictions and costs also limit the ability of small farmers to obtain the necessary documents that are needed now for all cosmetic ingredients. Nevertheless, he gave us some samples to take back to test in our lab. It will be great to send him a ‘thank you gift’ of a few finished products made from his own olive oil, like shampoo and moisturizer. Another thing we shared was our love of travel. Mr. Gaetano’s next trip may very well be to our Langkawi Geopark island in Malaysia. We would welcome him to visit us so we could show him the beauty of this great part of the world. However, finding quality olive oil and wine is difficult on a tropical rainforest island! No doubt that’s why so many Italians living outside their own country long to return to their great motherland – and one reason why I cherish the memories of this trip to Europe. I’ll have more for you in future blogs. It started on the train — a long journey from the city of Nice in France to Rome, Italy. On European trains, people sharing a cabin immediately start up a conversation. You can meet the most fascinating people this way and get into the most interesting discussions. Our train seat-mates began to speak passionately with lots of vivid gestures. Their topic apparently was politics. I do not speak Italian but I could hear and recognize a few names and it just seemed natural to join the conversation. In just 10 minutes, it had become a heated but friendly conversation between people who had never seen each other before and most probably never will see each other again. We all had a good time exchanging views and developed great respect for one another. It was with real regret that we waved our companions off at their various stations. This was a working vacation — crisscrossing Europe by train with a fantastic Eurail pass deal on these fast trains that in fact are better than flying. Why fly? Flying has such problems including going to busy airports and waiting and waiting… It is so much easier to relax on a train. In the end, it usually takes the same amount of time. If you fly, you will then need to take transport from the airport to your destination. If you arrive by train, it will take you to a station right in the middle of the city where you want to be! Hours later, the only one left in our cabin was a man who said he was from Catania on the island of Sicily. Like us, he would need to spend the night on this very comfortable train which soon would be loaded on to an amazing “train ferry” to cross the channel from the Italian mainland to Sicily. 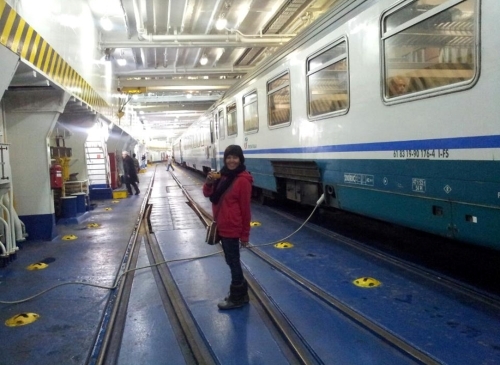 A train ferry — we had never seen this before. Maybe we should show this picture to Amtrak in the U.S. — how a train driving at 240KM per hour simply stops and is rolled onto a ferry to make the crossing of the Straits of Messina to Sicily, then on the other side, the train rushes off the ferry on its way to its destination. Woah Italy! I asked our Sicilian companion what he did for a living. I couldn’t believe my ears! I have been committed to using only organically grown ingredients for our Paul Penders products for almost 40 years – and had hoped to learn more on this trip about sources for organic olive oil and wines. He also was interested to hear my story about natural organic cosmetics and the history of our small company. That last hour on the train was spent talking with Mr. Sawillaci Gaetano. We shared our mutual passions and philosophies of life. Like me, he loves to travel and has been many times to San Francisco – my spiritual home. We really bonded as we talked about the ways both of us earn a living — not by becoming bigger but by nurturing smallness as a business concept and deepening that concept out as much as we can. He was not in it for the money. Because his plantation has only 600 trees, he can produce no more than few thousand bottles of the purest olive oil and of fine wine – very small productions indeed but made with great passion. Most of the crop is used for family and friends. Mr. Gaetano keeps life simple and rich with a beautiful philosophy and a respect for tradition. 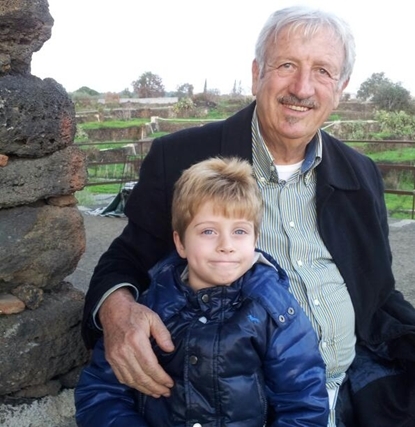 That philosophy extends to hospitality – before we parted, he invited me to visit his property in Catania. I’ll tell you more about my visit to his organic farm and some of my other wonderful experiences in Europe in upcoming blogs. A simple touch can change your health, relationships, even your state of mind. I have explored therapies for wellness for many years. Whenever I am back in Malaysia, I return to Mr. Seng, an expert foot massage therapist on the beautiful island of Penang. For me, it relaxes my mind but at the same time, I feel my organs are all massaged as well. Traditional Chinese Medicine (TCM) is based on the idea that there are energy lines, called meridians, that run through the body and that pressure on certain points can stimulate energy flow resulting in better health. Modern reflexologists take the idea even further. They are trained to stimulate points on the feet, hands or head that correspond to specific organs and glands throughout the body. Many people will tell you that they feel something in another part of their body when points are pressed on their feet. People fighting headaches, insomnia, muscle aches, and other symptoms report relief. Most will also tell you that they just feel better after a foot massage. A recent study by Michigan State University Researchers in the US shows that cancer patients who received foot massages not only benefited psychologically but physically as well. Breathing and mobility were improved after regular foot massages from reflexology professionals, and those who received ‘placebo’ foot massages from family or friends also reported less fatigue. I made foot massage a regular part of self-care – a simple thing that anyone can do to improve health and happiness. When I lived in Europe and later on in California, the words acupressure and foot massage had little meaning to me. Actually right now living much of the time in Asia, foot massage has become a part of keeping me mentally fit. And when I travel to Europe and USA now, I truly miss getting my regular foot massage. It may sound strange that foot massage can improve our mental state of mind– but I believe by heart it is really true. Effects of foot massage affect simultaneously parts of the internal body. I go to Mr. Seng for my foot massage as he takes my treatments as a form of art. In that respect he is a true healer as well. He puts exceptional energy into his one-hour treatments. It affects many internal parts of my body. Each session is an inspiration and he gets fully into it – almost a “trance” state. He was trained by a Master in China and for 7 years has had a practice in Penang. Many internet websites and YouTube videos demonstrate foot massage techniques you can do at home. It’s one of the nicest things you can do for a loved one — massaging their feet can help improve their health and state of mind.